Indexes logs from any source. Is there a better alternative to Splunk? Is Splunk really the best app in Network category? Will Splunk work good on macOS 10.13.4? Note: Splunk is available in a limited free version, a cloud version, and an enterprise version. Contact a sales representative for pricing info. 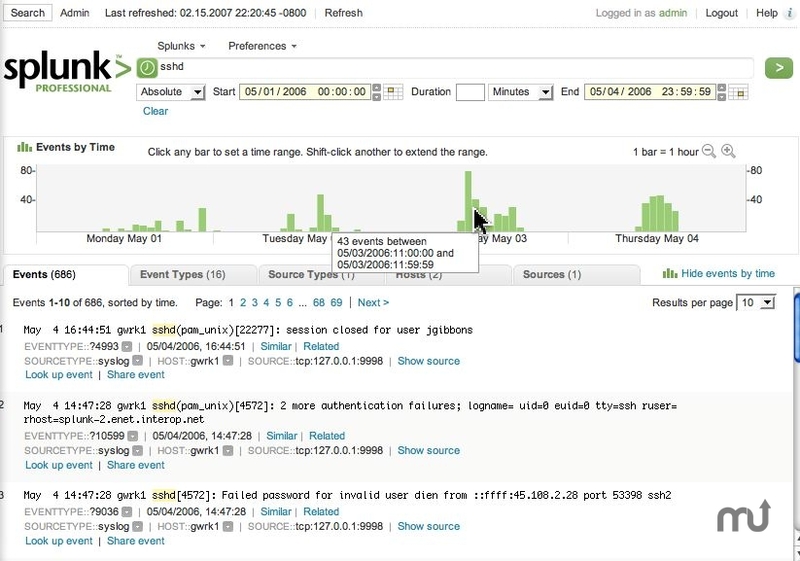 Splunk Server indexes logs from ANY source (apache, OS X, sendmail, routers). No need to configure it for specific formats, write regular expressions, or change your logging output. Search mountains of data by time, keywords, type of event, source, host, or relationships to other events. Note: Splunk is server software. You configure and use the software via a Web browser. Powershell Input. Native support for ingesting data retrieved by Powershell scripts. See the Splunk Add-on for Microsoft PowerShell manual.